There are hundreds of evergreens in the landscape world, but very few 'ever-purples'. Loropetalum 'Chang Ruby' has leaves in various shades of a gorgeous purple-red and it stays that color all year round! Loropetalum fill a gap in your landscape - they are leafy year round, drought resistant, deer resistant, and tolerate a wide range of garden conditions. On top of all that, they bloom profusely with fuchsia-pink, almost fuzzy flowers starting in early spring. 'Chang Ruby' can be used in a wide variety of gardening situations. Use it as a hedge. It can be pruned to look formal or left to look more naturalistic and informal without overtaking your yard. Use it as a backdrop to your perennial bed. Espalier it against a wall. Screen you're A/C unit. 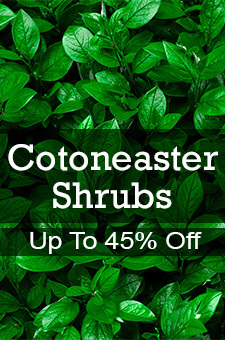 This plant will be such a beautiful and versatile addition to your garden. You can grow 'Chang Ruby' in full sun for the best color, but it does great in partial shade too. Plant it with yellow tipped conifers like Junipers or Cypress, or yellow Roses or Forsythia for a traffic-stopping color combo. Don't wait to add great year round color to your garden or landscape! Order 'Chang Ruby' from us today.